BCHRD delegates attended the PNHRS week in Plaza del Norte, Laoag City, Ilocos Norte from August 7-9, 2013. The theme “People at the Center of Health Research” was reflected in the poster of each consortium. 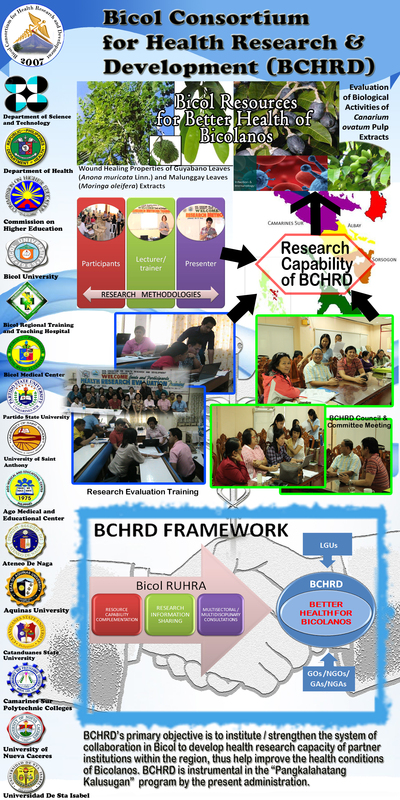 The BCHRD’s poster portrayed the target research undertakings as strategies towards the improvement of health conditions of Bicolanos. 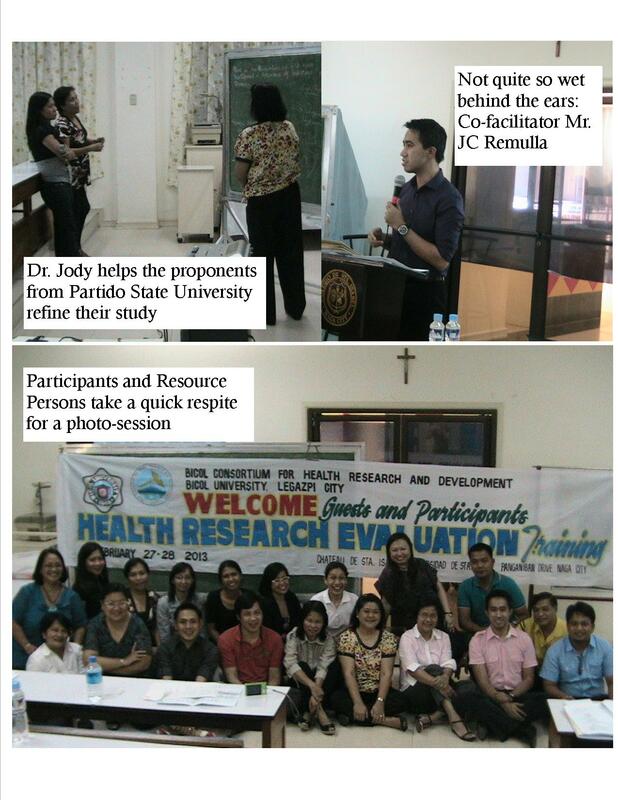 The PNHRS celebration was a venue for the researchers to disseminate findings for evidence based practice. Dr. Ma. Lourdes K. Otayza, Chair of the Region 1 Health Research and Development Consortium and the host of the activity enjoined everyone to interact and learn from one another to pursue the common goal of making a difference in the lives of every Filipino. The BCHRD contingent was headed by the BCHRD chair and President of Bicol University, President Fay Lea Patria Lauraya. Among the delegates of the BCHRD were Director Dr. Alma Banua, the Committee chairs namely: Sandy Lasa of Ethics Review Committee, Dr. Marlyn Daguno, Research and Development Committee, Ma. Laarni Salcedo, Capacity Building Committee, and Dr. Rafaelita Lucena, Research Information, Dissemination and Utilization Committee. Also with the group were Dr. Marilou Tino and Dr Bienvenida Oliva of University of Saint Anthony, members of the CBC, Dr. Alvin Ogalesco and Prof. Joel Olfindo of Catanduanes State University, Dr. Ruben Caragay and Dr. Teresita Yap of BU College of Medicine, Dr. Ma Clara Rubino, member of R & D and Dean of Ateneo de Naga University College of Nursing; Prof. Michael Montealegre, Faculty of BU College of Science, Ms. Mary Grace Estanislao, alumna of BU College of Nursing; Ms. Erika Mae Achaval and Ms. Cris Ann Mari Amante, alumnae of BU Polangui Campus; and Maria Vicenta Corazon Guidote, BCHRD Project Assistant. Among the topics shared were: Indigenous Peoples Health: Research Challenges in IP Communities, Ethics in Health Research, Student and Faculty Research Competition, PNHRS Law, among others. Ms. Estanislao, a finalist in the paper presentation for the student category, presented her group’s study titled “The Hypoglycemic Effect of Ethanolic Peel Extract of Citrus sinensis (Orange) on Male Alloxan-Induced Diabetic Albino Mice (Mus musculus).” Other papers submitted for presentation during the convention by BCHRD were: “The Case of Paralytic Shellfish Poisoning (PSP) Incidence in Sorsogon Bay” by Prof. Montealegre, et.al. and “Development of Moringa oleifera Seed Antibacterial Ointment” by Ms. Achaval, et.al. The vision of BCHRD is to conduct health and health-related researches responsive to the needs of the Bicolanos towards improved quality of life. Several strategies are being undertaken for the actualization of the vision. These are as follows: 1) Conduct proposal writeshop, 2) Technical & ethical review 3) Submit proposals for funding; other strategies are underway such as the conduct approved proposals. Four research proposals were submitted for funding to different funding agencies. 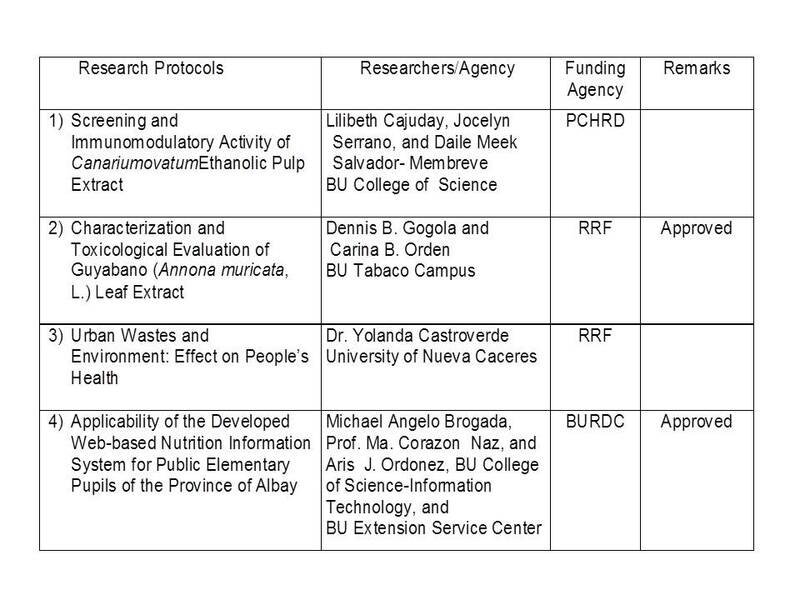 Three were submitted to the Philippine Council for Health Research and Development and one to BU Research and Development Center. A summary of the status of the said research protocols is show below. The BCHRD is presently into a multidisciplinary research proposal that will focus on the Promotion of Maternal Health of Bicolanos: Bicol Women’s Health Research and Development Program so as to be able to submit to PCHRD additional protocols for funding. This activity will involve the different member-agencies of the consortium. 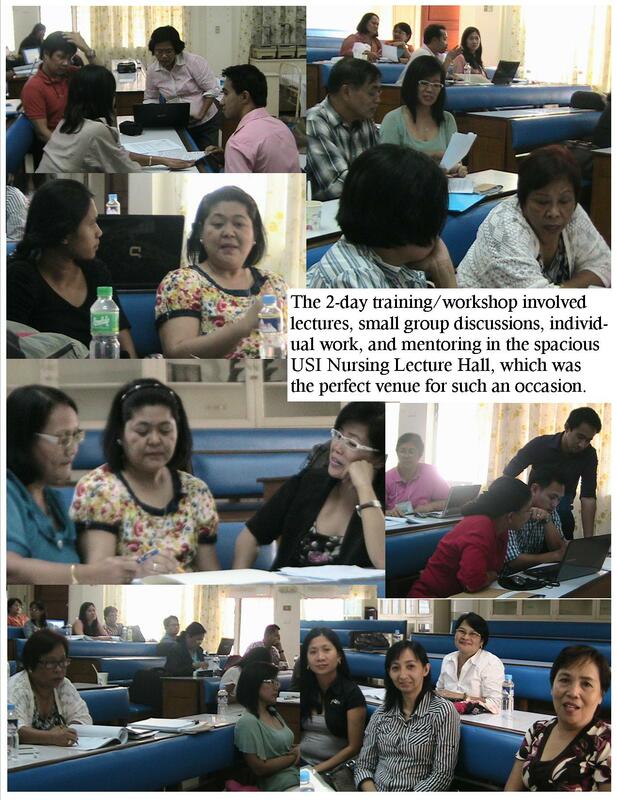 The 2nd phase was held on August 19-20, 2013 at the University of Anthony, Iriga City. 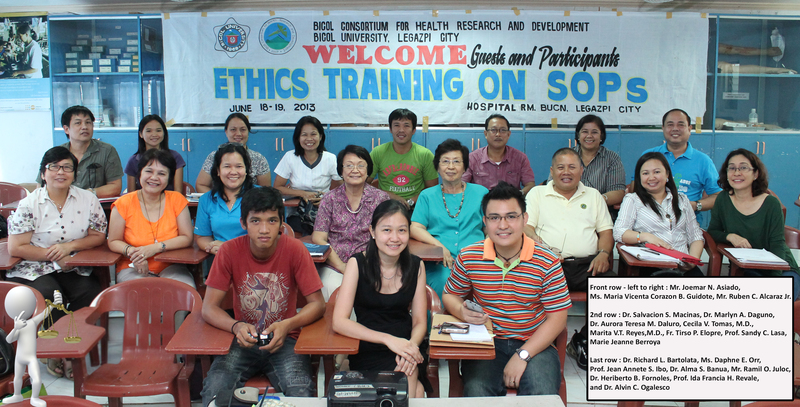 The Bicol Consortium for Health Research and Development (BCHRD) conducted an Ethics Training on Standard Operating Procedures (SOPs) at Bicol University College of Nursing, Hospital Room on June 18-19, 2013. The General Objective of this training is to develop the standard operating procedures (SOPs) of the Ethics Review Committee (ERC) for quality assurance. Specifically, it aimed to: 1)Discuss the rationale for the development of SOPs; 2) Identify specific activities of the ERC that need SOPs; 3) Identify the individuals/officials/members that participate in each of these activities; 4) State the rationale and objective of each SOP; 5) Develop the flow chart of each activity, and; 6) Use the PHREB template in the documentation of each SOP. The Resource Speakers for the said event were two members of the Philippine Health Research Ethics Board (PHREB) Marita V.T. Reyes, M.D., Chair of the National Ethics Committee and Co-Chair), and Cecilia V. Tomas M.D., who was a resource Speaker during the BCHRD Basic Training on Health Ethics in 2012, is Chair of its Subcommittee on Standards and Accreditation. The event was attended by the same participants who had undergone the BCHRD Basic Training on Health Research Ethics in 2012, who were from the different member agencies of BCRHD. They Marlyn A. Daguno, Dr. Salvacion S. Macinas, Dr. Gabriel R. Peñas and Ramil O. Juloc from Bicol Regional Traning and Teaching Hospital (BRTTH), Alvin C. Ogalesco from Catanduanes State University (CSU), Fr. Tirso P. Elopre and Dr. Heriberto B. Fornoles from Bicol Medical Center (BMC), Pilita O. Lucena from Department of Science and Technology (DOST V), Ida Francia H. Revale, Jean Annette S. Ibo, Charmaine A. Malonzo, and Richard L. Bartolata from Bicol University (BU), Sandy C. Lasa, Virginia C. Reyes, and Nenette L. Abrigo from Universidad De Sta Isabel, Dr. Aurora Teresa M. Daluro from Department of Health (DOH), Alma S. Banua (BCHRD Director), Marie Jeanne Berroya, PCHRD-DOST (Regional Project Officer for Region V) and Ruben C. Alcazar Jr. (PHREB Secretariat), and the BCHRD secretariat composed of Ms. Maria Vicenta Corazon B. Guidote, Joemar N. Asiado and Daphne E. Orr. The 2-day training consisted on lectures and workshops. Among the topics discussed were: The PHREB Accreditation Program and Policies, Review of ERC Functions & Overview of SOP Sections, Revisiting the Review, After Review Processes, Documentation and Archiving, and Issues and Challenges. The workshops consisted of the drafting of SOPs for the different regular activities undertaken by an ethics board. The training ended with a determined note on the part of the participants to finalize the requirements needed to establish Ethics Review Committees in their own institutions. For their part, the resource speakers promised to go over the various SOPs submitted during the workshop and to be returned back to the participants. Very keen on realizing its objective of capacitating local researchers interested in health and health-related studies, the BCHRD conducted the Research Evaluation Training with the twofold goal of aiding the Research Proposal Evaluation Team in developing a tool for evaluating research proposals, and assisting researchers in fine-tuning their revised proposals. 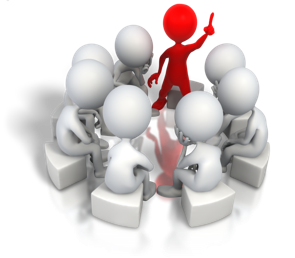 The consortium’s Evaluation Team is composed of the Research and Development (R&D) and Ethics Review (ERC) Committees. 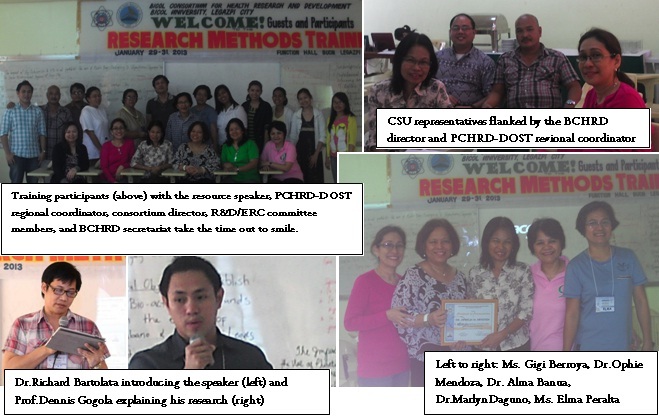 The research proponents invited to the training were those who participated inthe Research Methods Training conducted on January 29-31, 2013 at Bicol University, Legazpi City. 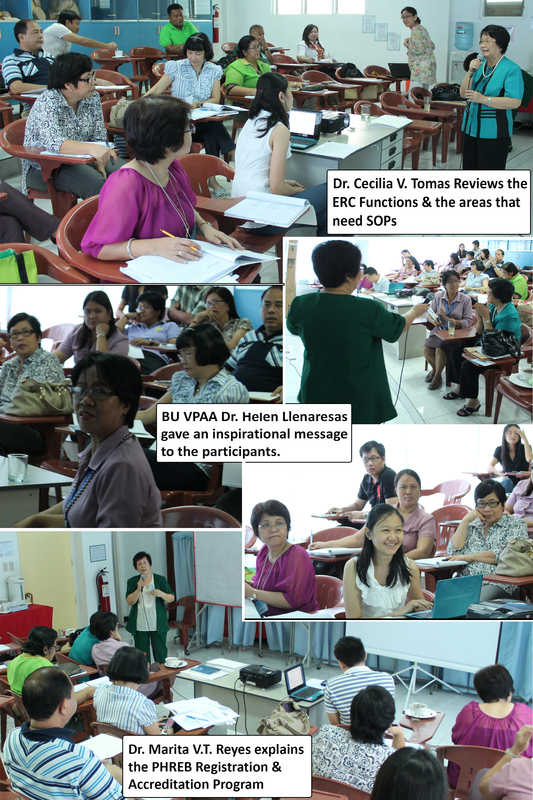 The Research Evaluation Training, held on February 27-28, 2013 in Naga City, at the Universidad de Sta. Isabel (USI) College of Nursing Lecture Hall, was the second phase of the Health Research Proposal Packaging Process (HRPPP), which the BCHRD is implementing; the Research Methods Trainingin January was Phase I of the process. 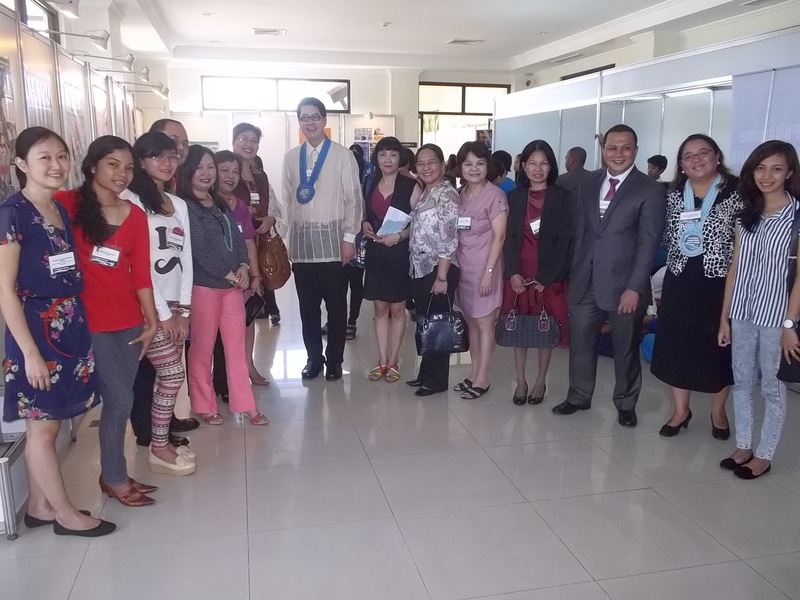 The Participants were: Prof. Sandy C. Lasa of USI, chairman of the ERC; other USI faculty- Profs Janet S. dela Cruz, Teresa B. Pambid, Glenda C. Icaro, Mary Ann Tumbado, and Mr. Rhandy V. Salvani; Prof. Elma R. Peralta and Dr. Ma. Clara Ll. Rubino Faculty and Dean respectively of Ateneo de Naga University (AdNU); Dr. Yolanda L. Castroverde and Dr. Carmelita S. Baylon of the University of Nueva Caceres (UNC); Dr. Raul G. Bradecina, Profs. Ana L. Vargas, and Emelina R. Padayao of Partido State University (PSU); Dr. Nilo B. Romeroso of Ago Medical Center-Bicol Christian College of Medicine (AMEC-BCCM); Prof. Joyce S. Obis of University of Saint Anthony (USANT); Prof. Athena G. Masip of Aquinas University of Legazpi (AUL); researchers and BCHRD committee members who were part of the Bicol University delegation included Dr. Richard L. Bartolata (BUCN), Profs. Ida Francia H. Revale and Daile Meek Salvador-Membreve (BUCS), Profs. Michael Angelo D. Brogada and Aris J. Ordoñez (BU CS-CS/IT), Prof. Ma. Corazon R. Naz, (BUESC), Profs. Carina B. Orden and Dennis B. Gogola (BUTC), BCHRD Director Dr. Alma S. Banua, and the BCHRD Secretariat composed of Ms. Reizha O. Rito and Ms. Maria Vicenta Corazon B. Guidote. Also present was Ms. Marie Jeanne “Gigi” B. Berroya, PCHRD-DOST Regional Project Officer for Region V.
Resource speaker for the activity was Dr. Godofreda “Jody” V. Dalmacion, M.D., MSc, MHPEd, FPOGS- a professor at the Department of Pharmacology and Toxicology, and Assistant Director of the Department of Clinical Epidemiology, College of Medicine, University of the Philippines (UP), Manila. Dr. Jody earned the overwhelming respect of the participants with her sincere, pro-active approach. 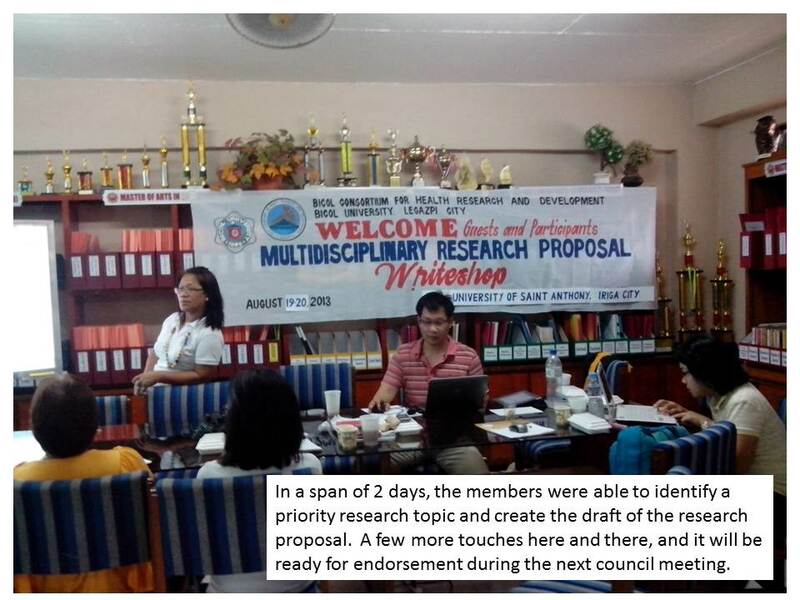 The research proponents appreciated the one-on-one sessions they had with her, and her promise to read their revisions. Assisting Dr. Jody was her very able co-facilitator, Mr. Juan Carlo “JC” G. Remulla, R.N., a University Researcher at UP Manila- National Institutes of Health. The training ended with setting of the deadline for submission of revised proposals to the BCHRD secretariat, (total of 5 proposals) and finalization of the R&D and ERC Standard Operating Procedures.The two-day training/seminar involved pre- and post-tests, lectures, small group discussions, and critiquing of proposals. The aim of the Philippine National Research Health System of ensuring that the health research is linked to the needs of our health system is cascaded to the vision of the BCHRD, of producing excellent health researches that are responsive to the needs of Bicolanos. In order to achieve the vision, this 2013, the BCHRD is working on packaging health and health related research proposals. This was expressed during the welcome address of Dr. Alma Banua, the consortium director, wherein she enjoined the participants to undertake the Health Research Proposal Packaging Process (HRPPP) with the consortium. 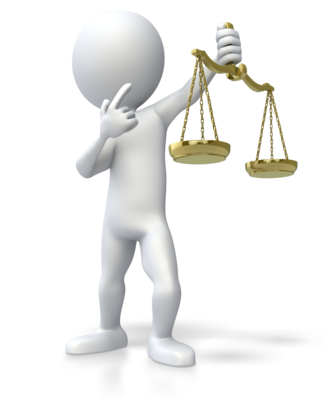 The HRPPP was conceptualized based on the principle of learning by doing by Aristotle. It is comprised of lectures by a resource speaker and workshop/application of the learning, thus the invited participants come with a research proposal that is refined as they undergo the HRPPP. The review of the research proposal is done by the Research and Development and Ethics Review Committees together with an expert recommended by the PCHRD-DOST. 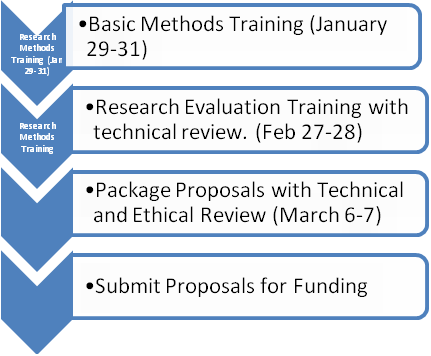 The HRPPP is comprised of 3 phases, Phase 1:Basic Methods Training held on January 29-31, consisting of concepts on objective setting, research design and data analysis; Phase 2:Research Evaluation Training with technical review (Feb 27-28); and Phase 3:Package Proposals with Technical and Ethical Review (March 6-7). At the end of the process is a full blown proposal ready for submission to the funding agency. Fifteen (15) research proposals were presented by the research participants from the member agencies. It was short listed to six (6) – all of which were aligned to the National Unified Health Research Agenda (NUHRA) and/or Regional Unified Health Research Agenda (RUHRA).